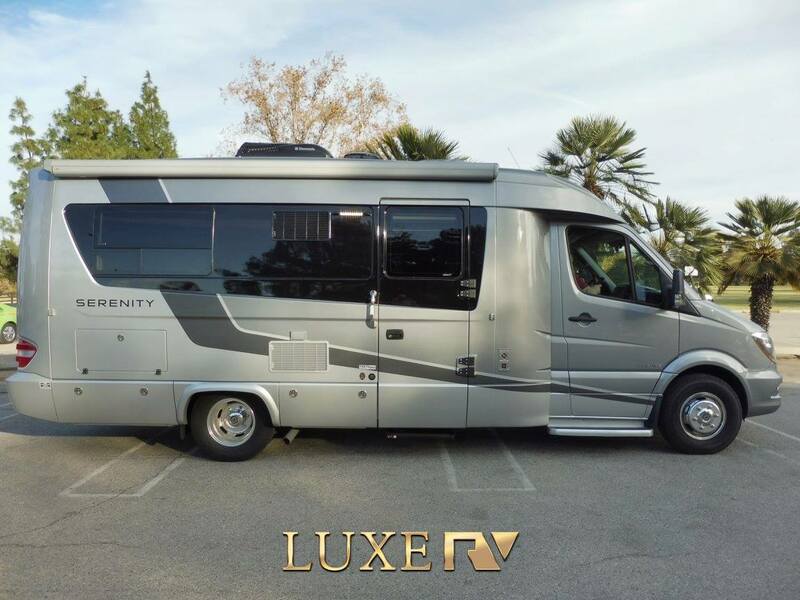 Have you experienced Luxe RV? Help others learn about this company by sharing your first-hand information with other road-trippers. 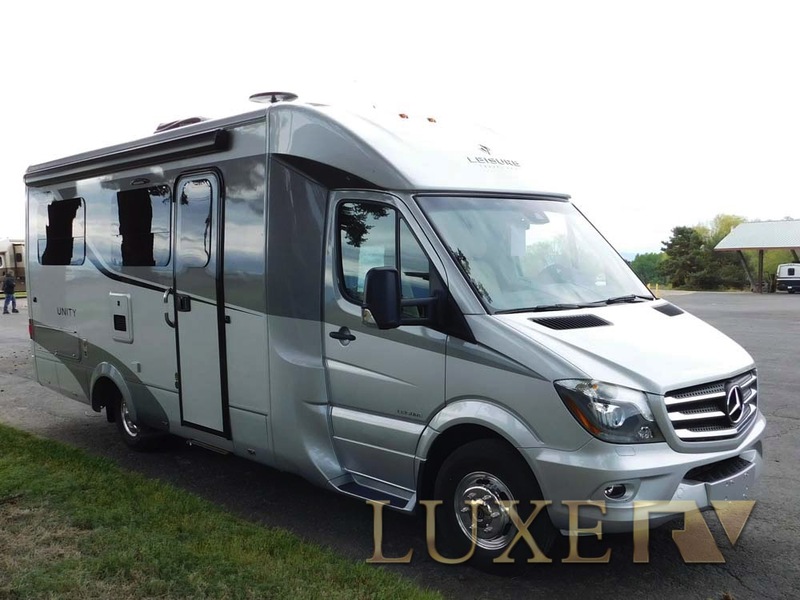 Aiming for the high-end market, Luxe RV offers a fleet of Coachmen Prism, Winnebago and Leisure Serenity/ Unity models, all powered by an impressive Mercedes-Benz 3500 sprinter chassis. However, this recent luxury rental has a reputation of starting out good then spirals out of control during your trip and even after renting. 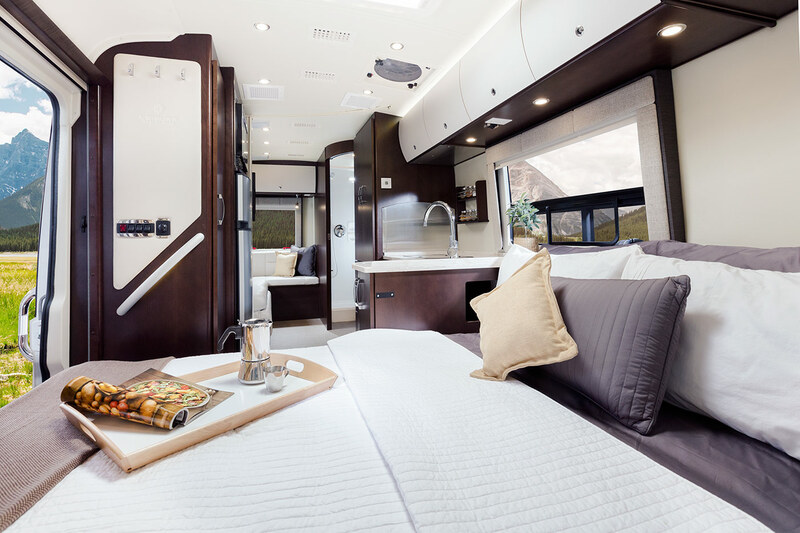 A recent luxury rental company with only one branch, Luxe RV offers a range of recent luxury RVs complete with home-like amenities and notable inclusions. 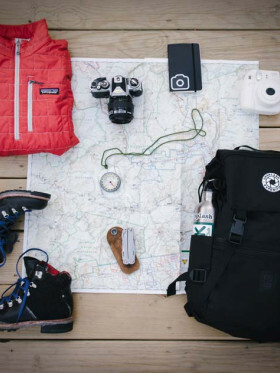 The all-in pricing may be higher than other companies, but it already includes all the essentials and extras such as kitchenware, organic bedding, towels, camping table and chairs, as well as delivery services. 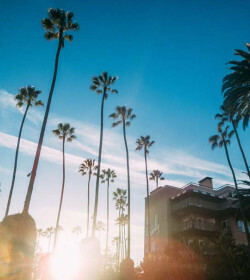 Yes, the company has free delivery and pickup to areas like San Francisco, Los Angeles, Las Vegas, Ventura County and more. Aside from that, they even offer a 7 day concierge service. Most of the vehicles on fleet are Mercedes Benz and Leisure Serenity models transformed into a comfy and posh moving hotel. These are great for couples and small families (maximum is 6-berth capacity only). And be it known that Luxe RVs are thoroughly designed to market their name, which means don't be surprised of marketing slogans all over your vehicle. The units, however, are luxury models with great MPG. There are three Serenity models on fleet, all of which are 4 berths with 2 double beds inside the cabin. 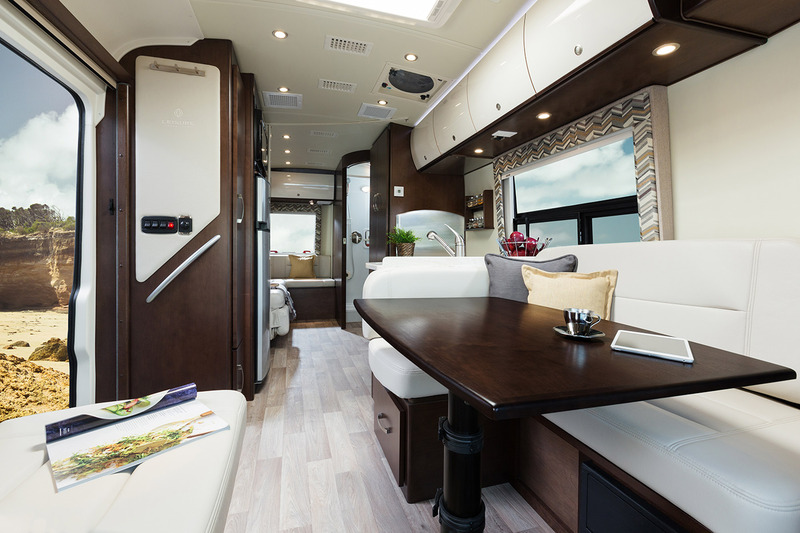 At 24.6', these luxury motorhomes highlight a spacious galley that provides two pullout pantries. Kitchenware as well as outdoor table and chairs are already for free. The swivel front seats easily rotate so that all four persons in transit can dine in together. Also, the dinette provides fitted seat-belts. With a powerful Mercedes chassis and a 3L V6 BlueTEC diesel engine, you will enjoy the a smooth and economical ride at 16-22MPG. 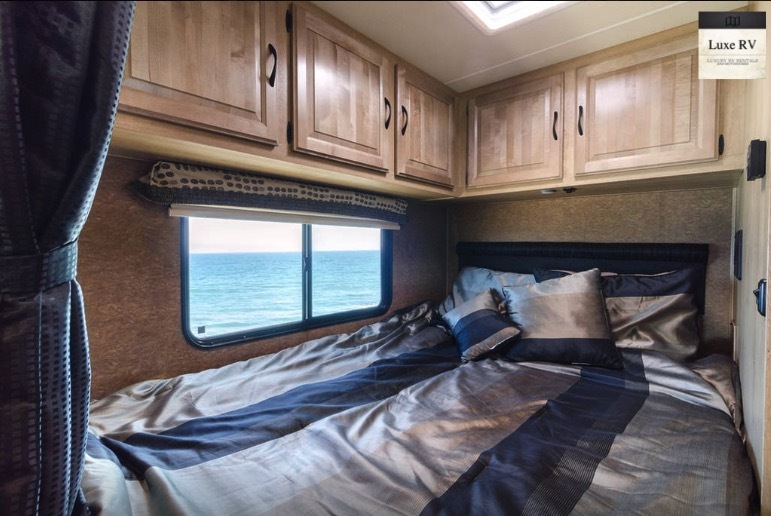 The Leisure Serenity S24CB RV and 2015 Leisure Serenity RV are pricier models because of the newer model used. 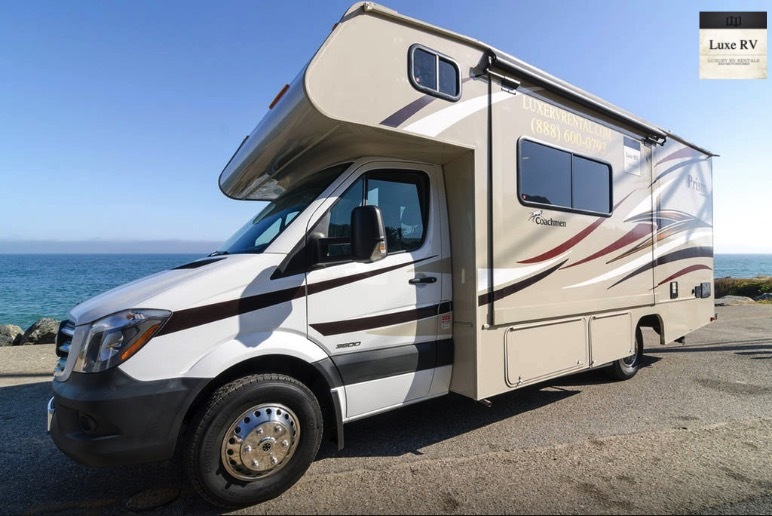 Another Leisure model is the Unity, which is tagged as the most comfortable motorhome to drive. A compact class C with one slide-out, this unit fits up to 4 people and the outside feature is more than enough to be an eye candy. 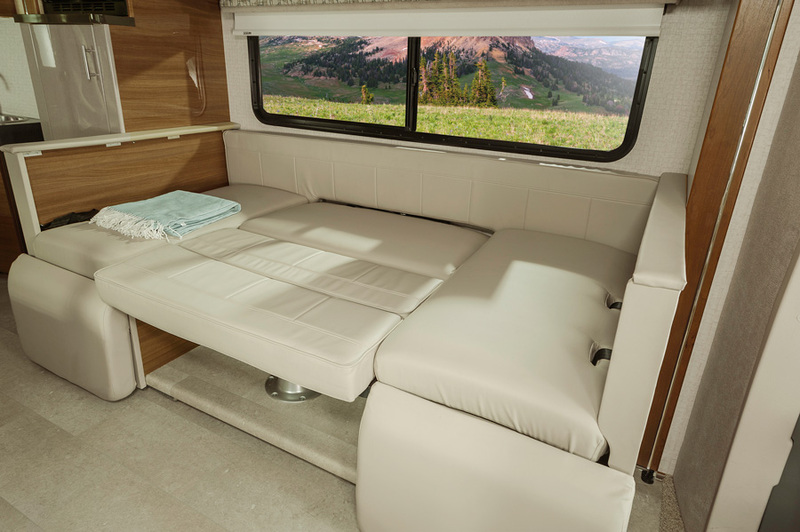 Inside, there's a U-shaped dinette that features an overhead storage and a fold-away center table. Adjacent to the dinette is the kitchen, which is also the location for the television set. At the back is the cornered double bed and bathroom with vanity area. 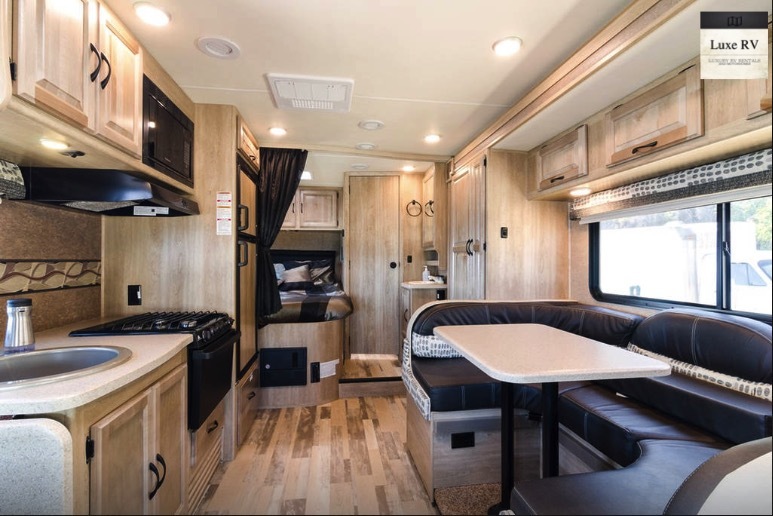 You have two options for this model, the 2016 and 2017 Leisure Unity, both offer comfort and space for a snug living on wheels. A bigger motorhome for 6, the Coachmen Prism lets you explore the countryside or the cityscape in style and convenience. The interior underlines solid and sleek counter-tops, residential flooring and elegant amenities. The versatile interior design starts with the tinted windows and aerodynamic, LED running lights and stylish fiberglass cap. Even with its modest size, it offers a spacious patio-side galley as well as a U-shaped dinette. The swivel cab seats with boosters are also some of the features you will love, together with panoramic windows ans its towing power. A sleek and stylish Class C, the Winnebago is a 6 berth unit with three bedrooms . 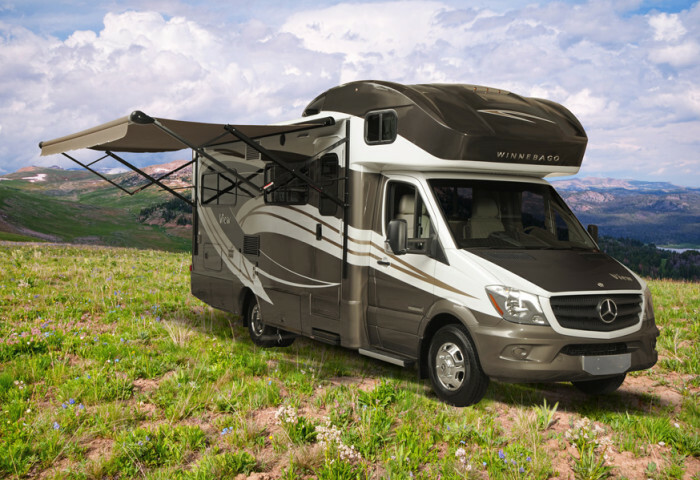 The motorhome with awning extends the fun outdoors. Enjoy an alfresco dining with the camping chairs and table. 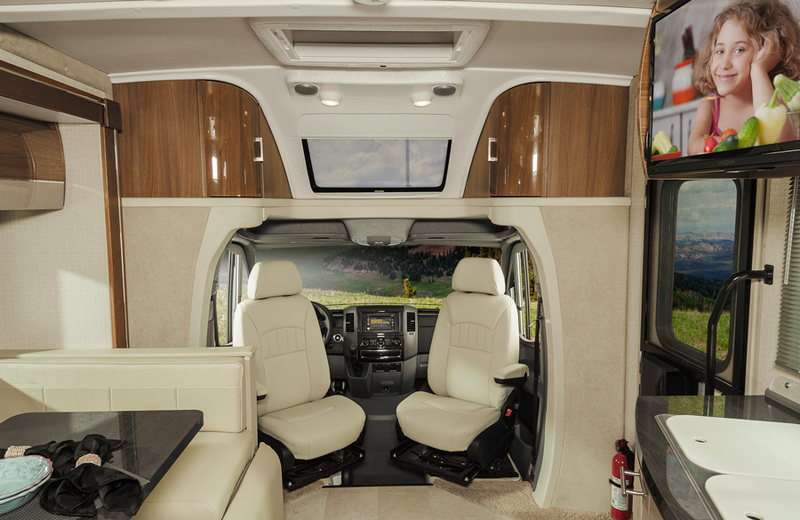 The Winebago also highlights its large windows that gives spectacular views day and night. On top of the kitchen is a nice TV set as well as storage cabinets for your goodies. With regards to the insurance, you provide your own or request one from them. The former can give you a great deal of savings but you need to present a copy of your insurance that is, of course, acceptable by the company's term. A security deposit amounting to $2,000 will be required at the time of rental agreement. 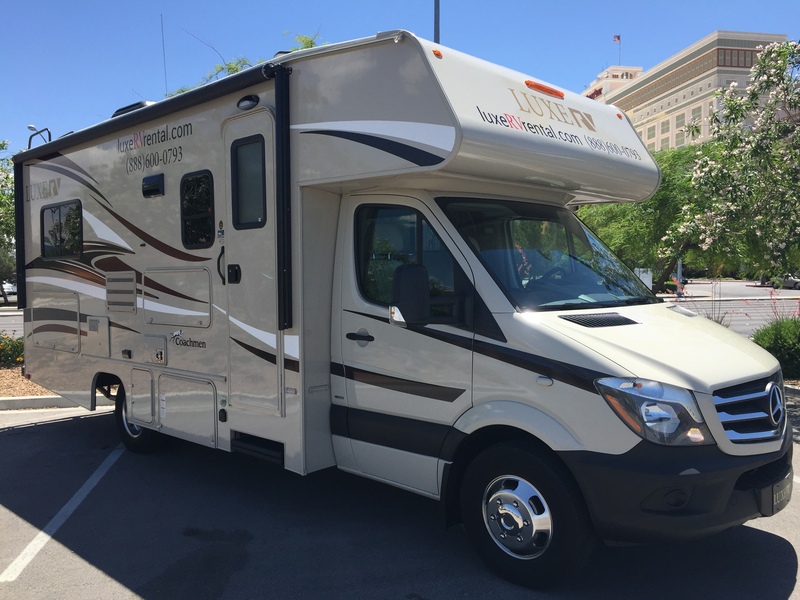 The reputation of Luxe RV is far from its luxury brand and upscale features. In fact, the company either gives you a hit or a miss rental- well mostly a miss, especially when it comes to service and vehicle maintenance. Their advertising may be too good to be true, so do not expect more from them. 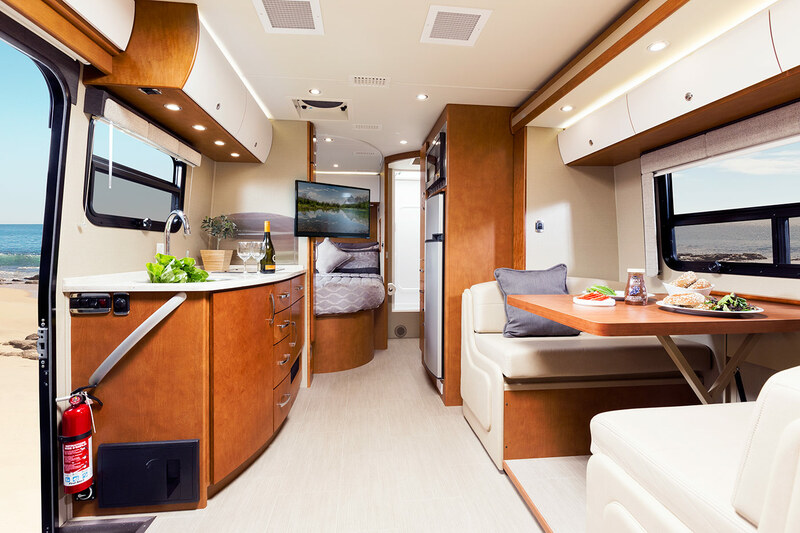 Their equipped luxury RVs are pricier though they provide nice perks like free delivery and pickup and 7 day concierge service. Still, as a whole, their reputation is on the rocks. 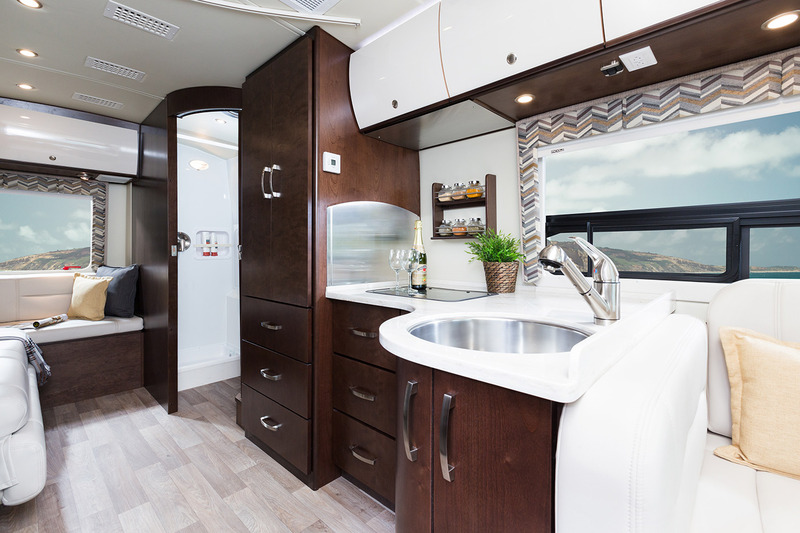 Since Luxe RV aims for the high-end market, this may be a downer for budget travellers. But really, even luxury travellers appear to be disappointed with their rental because of unsatisfactory customer service. 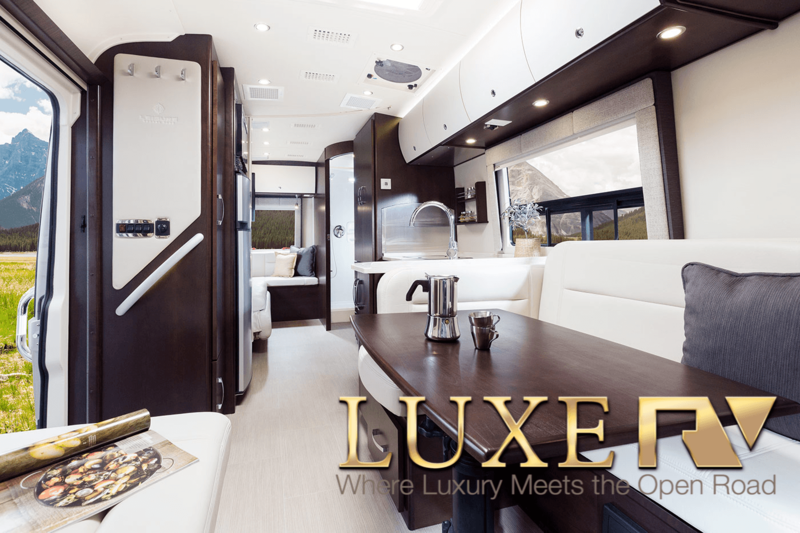 Have you experienced Luxe RV?